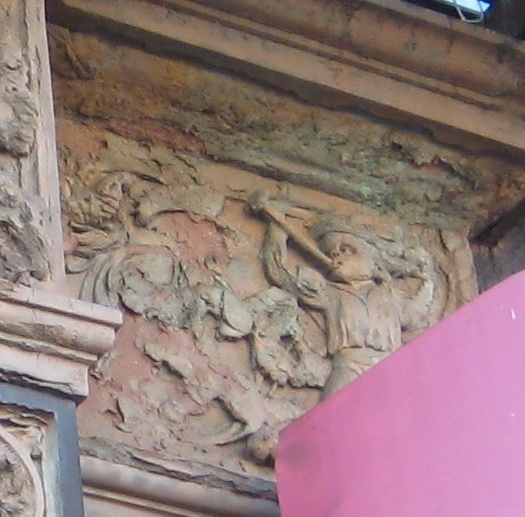 You’ve probably seen photos of these interior windows in old tenement apartments. They divide the kitchen or parlor from a back bedroom, letting a little light and air into the dark tunnel that was the typical 19th century slum apartment. These windows have an appropriate name: tuberculosis windows. 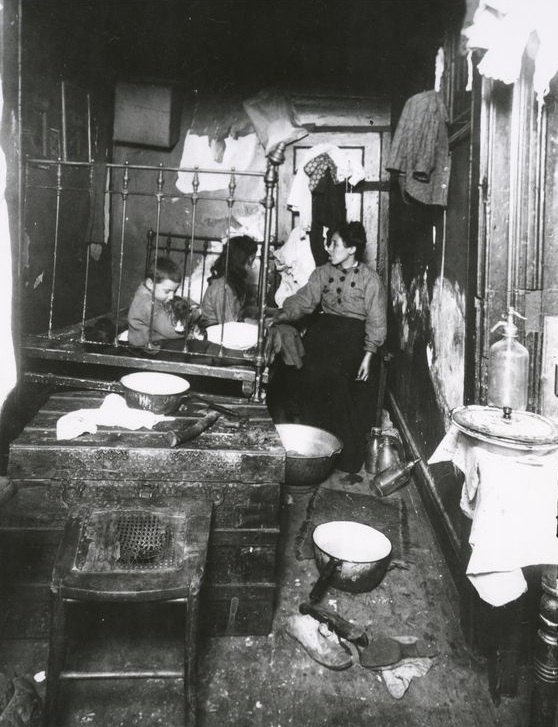 They were mandated by a 19th century city law requiring that tenements have cross ventilation to help reduce the spread of diseases like tuberculosis—the deadly “white plague” not uncommon in poor neighborhoods. Landlords figured it was cheaper to install an interior window rather than design an apartment building with real windows in every room that actually allowed for decent air flow. By 1901, however, the city passed the New Law Tenement Act, requiring exterior-facing windows in each room of new residences. But just like bathtubs in the kitchen, some city apartments still have tenement windows—like this one on Avenue B. 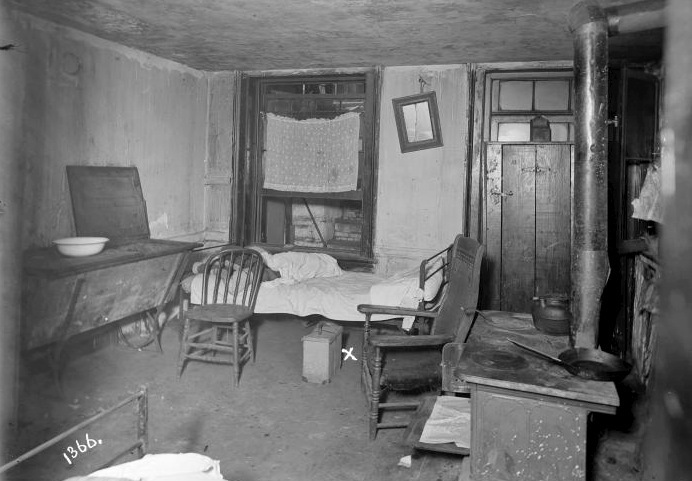 If you were a poor city resident in the late 19th century, you may have called an old-law tenement home. 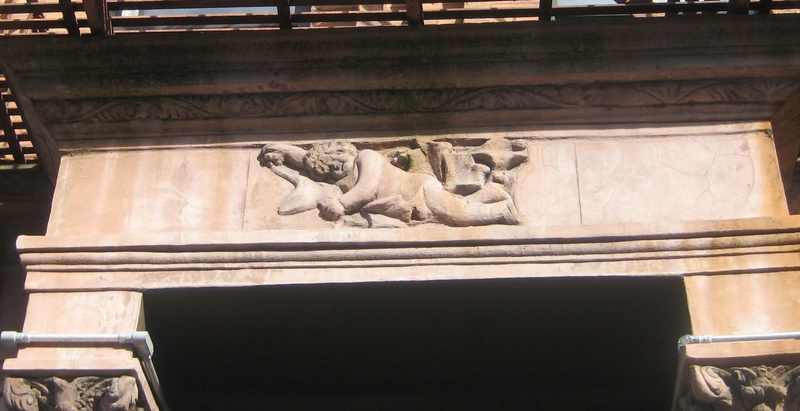 These were dumbbell-shaped buildings with four apartments to each floor, three rooms in each, one after the other. As you can see here, your living quarters probably were probably dark and dank. That’s because before 1901, tenements were only required to have one window per apartment or a tiny air shaft for ventilation. The kitchen may have looked like this. It came equipped with a bathtub and stove. A spigot for water may have been in the hall. As for toilet facilities, they were communal. 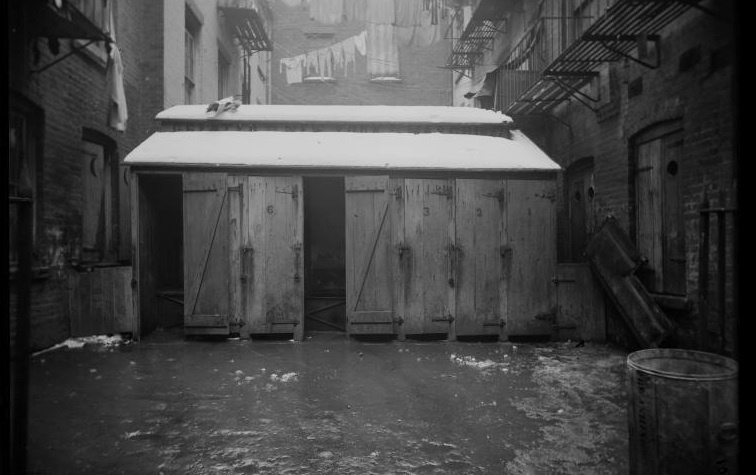 You either went in the hall or in an outhouse between tenements (as seen below), or on the roof. Tenement life improved somewhat after 1901, when new-law tenements were mandated by the city: These were required to have bathroom facilities and running water in each apartment, and a window in every room. A major improvement, but not for the thousands of people still stuck in hot, stinky, firetrap old-law units. 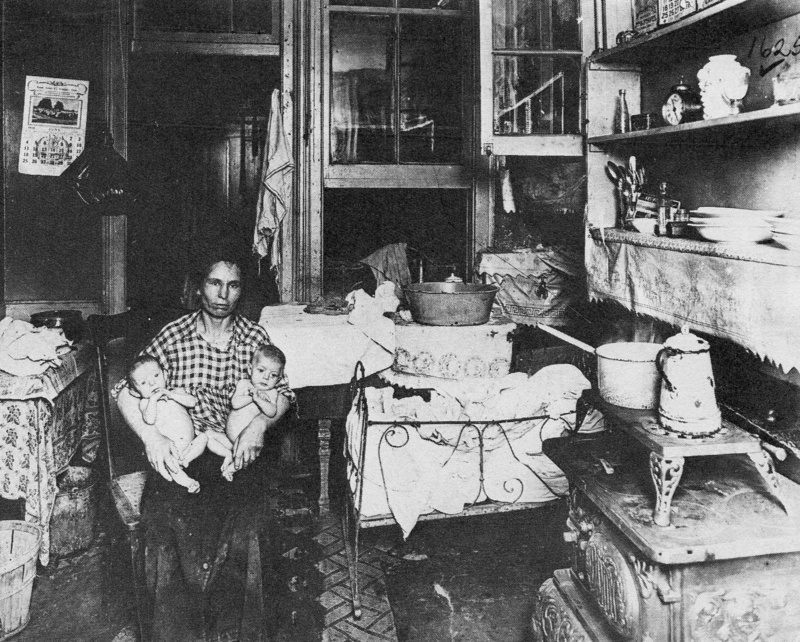 An unknown photographer captured this New York mother and her two babies in an old-law tenement apartment in 1916. Like most flats in old-law tenements (so named because they predate “new” turn-of-the-century laws mandating better living conditions per apartment), it’s dark, squalid, and unventilated. That window probably looks out onto a narrow courtyard, if not just another room in the same apartment. 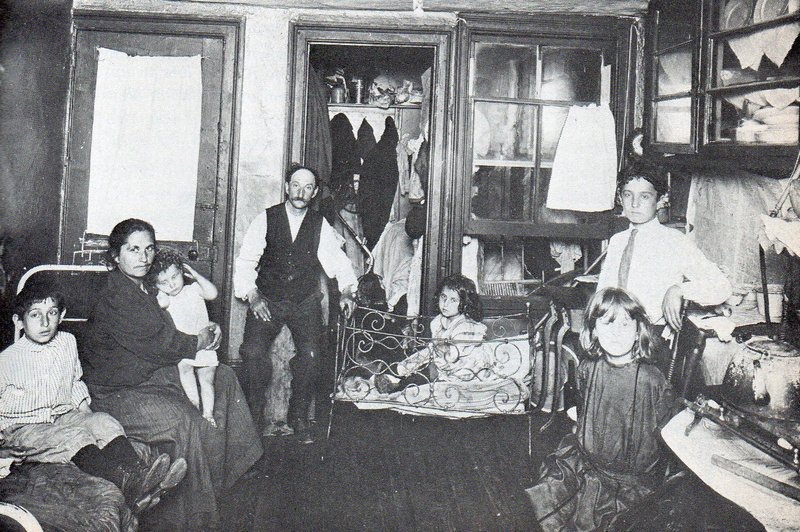 An Italian immigrant family in the kitchen of their East Side apartment, date unknown, photographed by Jessie Tarbox Beals. That gas stove to the right looks awfully dangerous. This must be an old-law tenement; the apartments in these buildings weren’t required to have ventilation in each room. 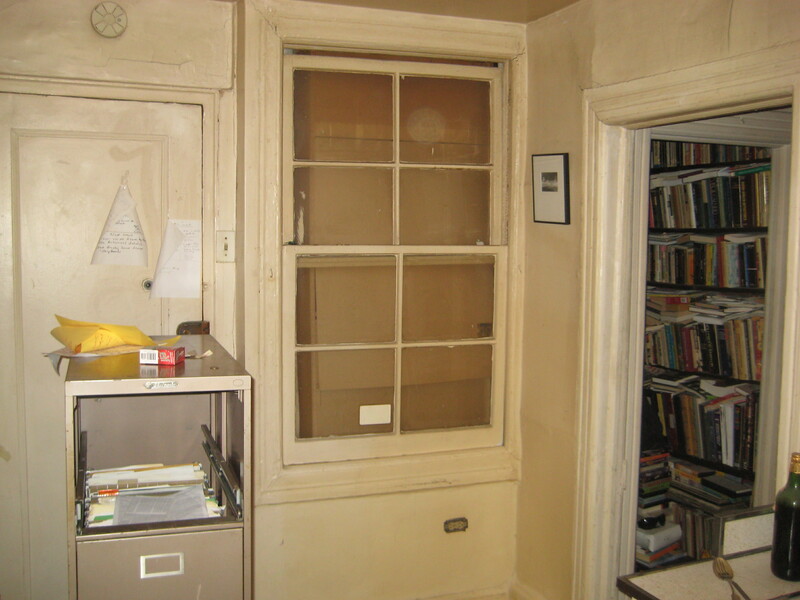 The window facing the kitchen appears to look into a smaller room or closet. 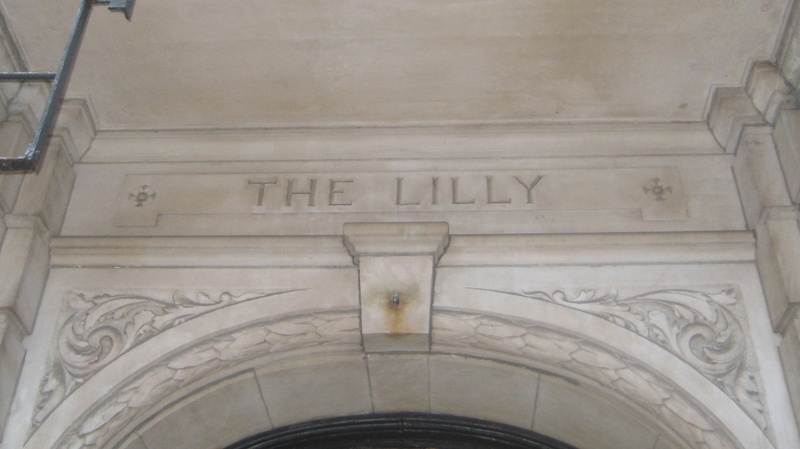 Just as ships tend to be named after chicks, New York’s new-law tenement buildings also seem to have been given mostly female monikers. 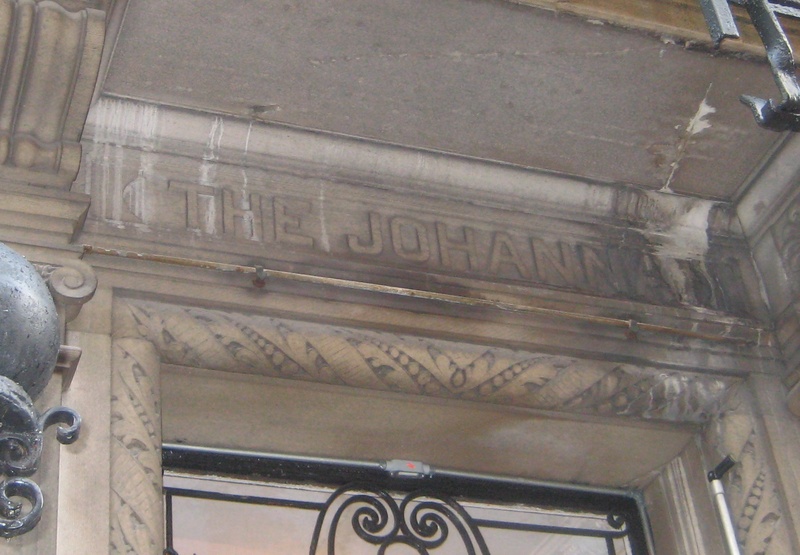 The names reflect popular girls’ names at the turn of the last century, when most tenements were constructed. Perhaps they were the names of wives and daughters of the developers? Or maybe the builders just liked the way they sounded. 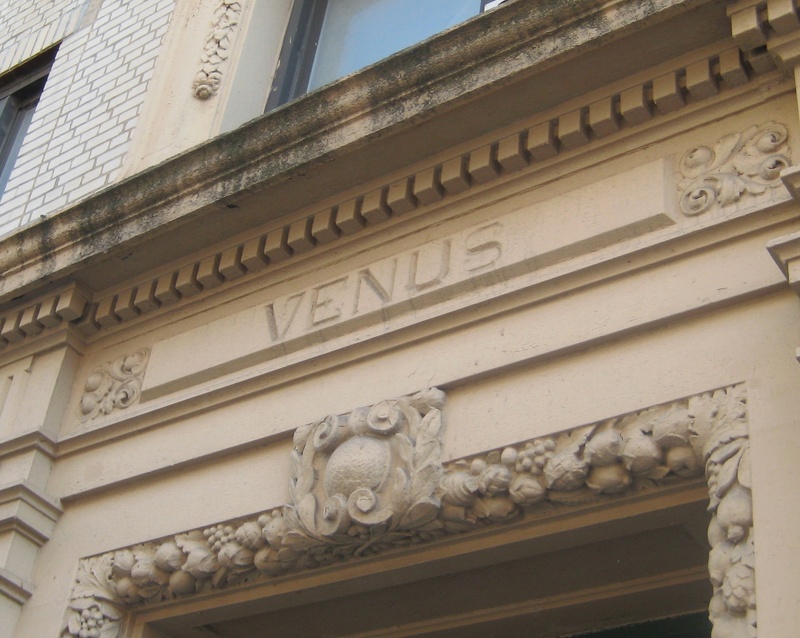 Okay, Venus may not have been a top-10 girls’ name back in 1901. 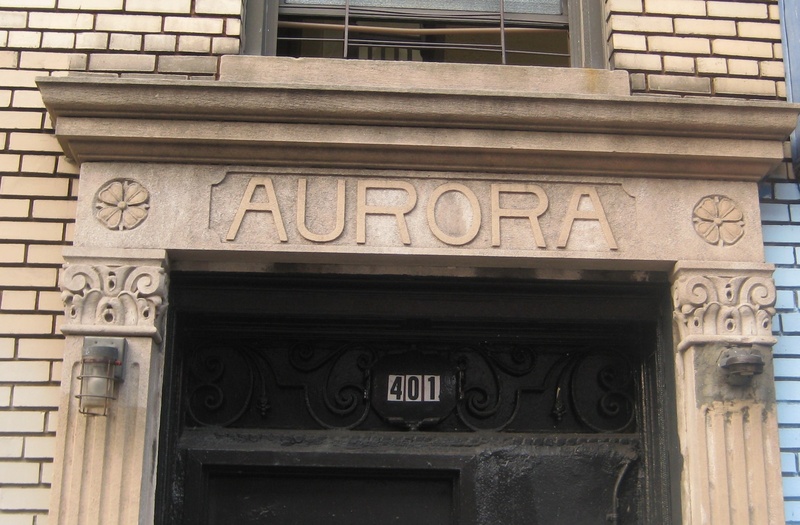 But it’s a terrific name for a tenement in South Williamsburg, isn’t it?